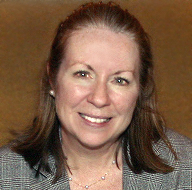 Susan Coe Heitsch talks with us here about her experience being a member of IABC/Chicago. Thank you, Susan! How long have you been with IABC? Practically since the beginning. I joined in 1982, as I recall. It was my boss who suggested it. He thought I had a talent for communications, and he knew that I was working on my MBA in Marketing. So he suggested that I join one or more professional associations as a way to help me grow. I took him up on his offer and joined several organizations – IABC, the American Marketing Association, and the Publicity Club of Chicago. These days, the only professional membership I maintain is IABC. Why did you stick with IABC? The other organizations were fine, and I built my network with them for several years. Ultimately, however, I realized that IABC was the one where I was getting the most meaningful information, contacts, services and especially the growth opportunities. With many associations, it can takes years to earn a seat on the board or other position of responsibility. With IABC, the local president greeted me shortly after I arrived at my first luncheon, asked about my career interests, and invited me to get involved in some of the chapter activities that would help me build my résumé. Honestly, I feel like I grew up with IABC. What type of involvement have you had with IABC? Most of my involvement has been at the chapter level. I started by helping to organize the luncheon meetings. Later on, I served as Director of Professional Development, Co-Director of Volunteers and Co-Director Educational Relations. Along the way, I organized a six-state Midwest conference for IABC, moderated panel discussions, served as a Gold Quill judge – you name it. These days I’m a mentor to communication students from DePaul University. What advice do you have for people just getting started in communications? Get involved. When you’re first starting out, employers are looking for people with experience. Where do you get that experience? You could wait for a lucky break – or you can start building that experience immediately by getting involved with an organization like IABC. If there’s something you want to do, volunteer for it. You can work on the website or organize events or write promotional materials. It may not be paid work, but I have yet to see the hiring manager who won’t recognize such volunteer work as bona fide experience. You can build a fabulous portfolio as a volunteer. What’s more, by listing IABC membership on your résumé, you show the world that you’re serious about the profession. Yes, many people are reluctant to join or renew their membership with a professional association when they’re not working or if their employer won’t pay for it. That’s unfortunate. They’re looking at it the wrong way. You can’t look at it as an expense – you need to think of it as an investment in yourself. If ever there was a time to invest in yourself and your career, this is it. But joining is not enough. You’ve got to get involved. You’ll get exactly as much out of your membership as the effort you put into it. Susan is currently Vice President of HR Communications at JPMorgan Chase.